MX1, a global media services company that transforms content into a remarkable viewer experience contributed to the successful broadcast of National Geographic's 'Earth Live', a spectacular two-hour television program that showcased the Earth's greatest wildlife shots by some of its top wildlife cinematographers. For the event, which was broadcast on July 9, Bunim/Murray Productions hired MX1 to provide live satellite transmission and production support in 10 of the broadcast's 28 key locations around the world, including Fiji, Australia, Ethiopia, Alaska, Brazil, Finland, Thailand, and India. All Mobile Video/Chelsea Television Studios/AMV GATEWAY TELEPORT also hired MX1 to ensure that the feeds from these remotes were then transmitted back to the AMV studios in New York City for live studio integration with the broadcast. The complex project involved working with multiple partners in various locations, and MX1 hired Telstra Broadcast Services, Mobilelinks, CAT Telecom, DSC, Planetcast, Videe, JA Satellite, and others to ensure the smooth running of the broadcast. By providing the "Earth Live" team with a one-stop shop solution and dedicated global network of transmission experts, MX1 was able to streamline the real-time broadcast operations and take television viewers on the ultimate travel adventure. Elad Manishviz, CMO and CBO of sports and events at MX1 said that their goal on this project was to transport viewers into different areas of the world, giving them an opportunity to learn about all of the amazing plant and animal species that live on this planet. MX1 has a global transmission and uplink network that makes it easy for broadcasters to deliver video from every corner of the world, in this case engaging viewers like never before with live images from the plains of Africa to shark-infested waters off the Fiji Islands. The remote teams were onsite at 10 different locations with uplinks and flyaways to support National Geographic's intricate transmission requirements. Over 15 hours of test and live feeds were transmitted between July 8-9 before the final two-hour transmission. The most complex feed was delivered from Fiji, where divers were following bull sharks live. During this segment, MX1 received the feed on a boat and transmitted it back to the studio via microwave to flyaway using multiple satellites. Over the entire course of the event, seven feeds were statmuxed at MX1 facilities and delivered to AMV. As a wholly owned subsidiary of the satellite provider SES, MX1 was in a position to transmit two feeds directly on SES 4 from Africa and Europe and three feeds from North America via SES satellites. 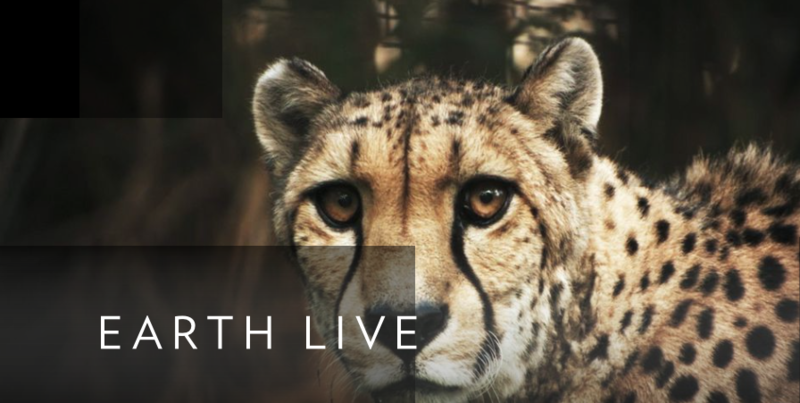 Hosted by award-winning actress Jane Lynch, Phil Keoghan, and Chris Packham, 'Earth Live' gave viewers live insights into wildlife behavior in 28 key locations across six continents—from South America to Asia and everywhere in between—following world-renowned cinematographers using cutting-edge technology to showcase a number of wildlife firsts, including watching live wildlife lit only by the moon, in full color, via new low-light camera technology.